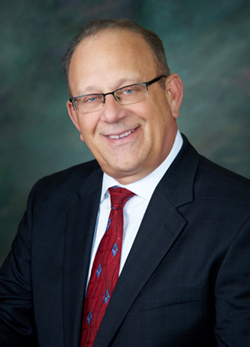 Jim is the Managing Principal of the Mid America Regional Planning Group of Lincoln Financial Advisors Corp. He joined the company in 1984, and currently coaches top financial planners across the country and within his region in the technical areas of Business Succession, Estate, and Investment Planning, including tax reduction strategies that impact these financial planning areas. Jim is also responsible for all the advisor training in the region. He is a sought-after speaker within Lincoln Financial Advisors national training programs. He has presented at 18 Planning Forums, 6 Fall Focus seminars, 9 Boot Camps, 2 Summer Camps, 19 Masters Series, 20 Transition Training classes and 10 Cycle Seminars. A series of Jim’s training sessions have been taped and are now a permanent part of the company’s training materials. Outside the company, Jim has presented to the FPA, Society of Financial Service Professionals, American Medical Association, American Truckers Association and the American Dental Association and also conducts continuing education courses for financial planners as well as accounting and legal firms. Jim was a guest on the PBS show, Financial Fitness, speaking on the topic of Business Succession. Jim is the current President for the Detroit Chapter of the Society of Financial Service Professionals. Jim has authored a number of sales support materials, such as the 18 Ways to Transfer a Closely Held Business, The Life Insurance Policy Analysis Worksheet, The Four Steps in Preparing Your Business for Sale, and The Estate Planning Matrix and Exit Strategies for the owners of closely held companies. Jim’s personal clients are concentrated in the construction industry, automobile dealerships and the medical profession.